It’s April Fool’s Day today, but I ain’t foolin’ you with my beauty favorites. This month I’ve got a few unconventional items on my beauty favorites list that I have been loving lately! No joke. 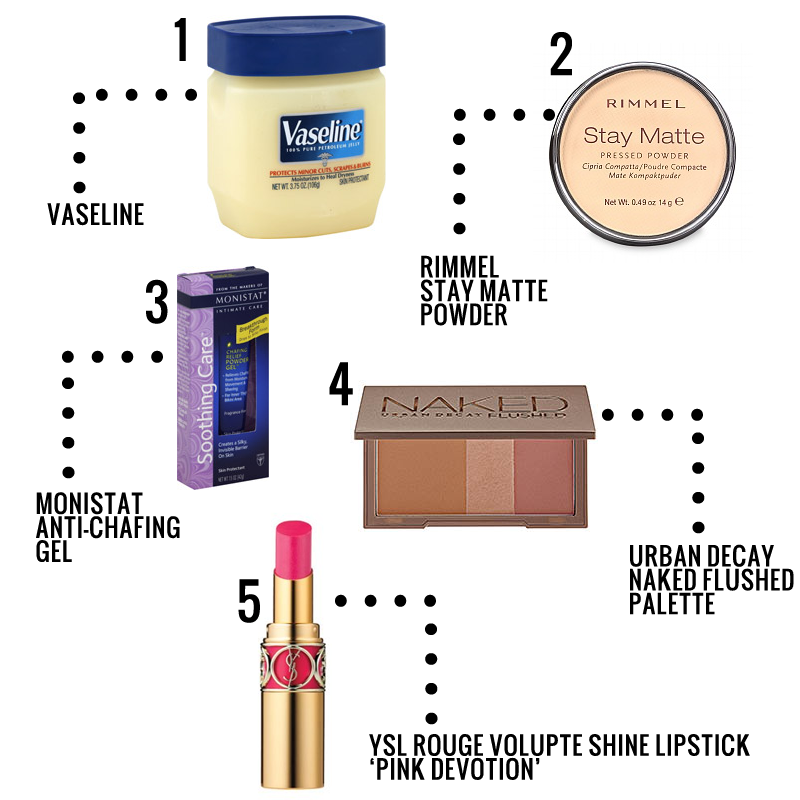 This is something I never thought I would ever add to a beauty favorites list. I don’t know how I stumbled on reading about Vaseline, but I’m glad I did. I have been using this on my lips, as eye cream at night, and even on my face at night! I am acne prone and I haven’t broken out whatsoever. Apparently this stuff is unable to clog pores because the molecular composition of this stuff is too big to clog pores. The FDA has also labeled petroleum jelly as “non-comedogenic” (meaning it will not clog pores). If you’re scared to use it, try it on just your eyes first and then patch test it. I use Retin-A (it’s a prescription) so this definitely helps with the dry skin associated with it. I have been loving this setting powder lately! And the best part is it’s under $5! It really does help me stay matte. The only down side is I’ve noticed that it does sort of whiten up my face a bit (I use the translucent one), so I will have to use it before my contour, blush, and highlight. Have you heard that this stuff is almost an exact dupe for Smashbox Primer? I actually think I like this better than Smashbox, because that one tends to make me a bit oily. I am not a huge fan of silicone-based primers, but for some reason, I just love this! My friend Tara wrote a pretty awesome review of it here if you want more details! If you have read my blog recently, you know how much I love this palette. It is darn near perfect and I have been seriously using it almost every day. Read my more in depth review of this palette here. You can even watch my tutorial of me using it! This lipstick has been on my beauty wish list for a while and I finally purchased it! I am so in love with it. I am so glad that I went with the ‘shine’ version and a bright pink color. I find it to be universally flattering. The packaging is so darn beautiful and probably the best lipstick I’ve ever owned. I want to slowly purchase more colors. The hefty price tag is a little of a turnoff, but it is YSL and it is a lovely splurge item. What have you been loving lately? Leave me a comment so I can add it to my ever-growing wish list! Also, do you subscribe to any subscription boxes (Birchbox, Glossybox, Barkbox, PopSugar, Ipsy, WhimseyBox, etc.)? Blog about it and link up with me tomorrow for Subscription Box Share! Looking forward to reading your posts!